Loved staying here was welcoming and great location will stay here again with the family. Very clean and comfortabl with a welcoming and friendly host. We had a lovely stay at No.1 The Laurels in October. One of the best B&B's we've stayed at (and we've seen quite a few over the years). We felt very much at home. Malcolm is a wonderful and hospitable host and we enjoyed the conversations. We had a nice clean quiet room, lots of information, wonderful breakfast, great value for your money!Highly recommended! You'd have to look hard to find a better B&B anywhere on the south coast I would think. First class. Accommodation was very comfortable and the breakfast provided was really enjoyable,catering for special dietary needs.Witihin easy reach of various shopping and eateries as well as the coast,A good place to chill-out after a long journey. A very comfortable room in a charming home. Very well located. An excellent breakfast was provided. Highly recommended. We were made very welcome and the rooms were spacious, well equipped and comfortable. The breakfast was excellent. We would happily stay again. We had a very nice stay here.Host was friendly and the room was very clean and comfortable.It's located in a small village and ideal for exploring the surrounding areas. The ensuite room was immaculate, the welcome warm and the breakfast delicious.I highly recommend staying here. It was a joy to stay at No1 The Laurels, the room was excellent and the beds very comfortable.The breakfast was first rate as well, all in all an excellent place to stay and excellent value. We had a fantastic stay at 1 The Laurels, it was just the thing. Perfect location and great accommodation. We managed to book the twin room, perfect as I was cycling with my son for a couple of days. The house was great, Malcolm was fun, interesting and very helpful and the breakfast the next day was epic, got us off to alegendry start. Many thanks Malcolm, a great place to stay, highly recommend this. A convenient and comfortable stay with no problems or issues, and a good breakfast served at a time that suited me. I had a bathroom to myself, though not en-suite. Stayed just for one night. Roomnice and clean. Had a quit sleap. Host very friendly andcheerfull (a very good whistler ;-) ) Nice conversation and excellent breakfast Excellent adviser in what’sworth to pay a visit inbeautifull Sussex and Kent. Great B.B. in the lovely village of Henfield.Owner Malcom very welcoming.Rooms are duly equipped and very comfortable.Breakfast will not disappoint.Local produce used and very tasty.Would highly recommend. I was made very welcome by Malcolm.Room and bathroom were very clean and tidy. Lovely to have biscuits with tea and coffee- just what I needed after a long journey. Breakfast was excellent. If I am down that way in future I would certainly stay there again. Very comfortable, clean and beautifully presented property. Loads of special touches. Fresh flowers in the room, toiletries, chocolate on the pillow. Great breakfast, wonderful host. We loved it here.Malcolm is very welcoming and cooks a fabulous breakfast with great quality produce.It was quiet and the beds comfortable.Very clean everywhere.A great place to stay and highly recommended. Thank you, Malcolm, for looking after us at No 1. We both enjoyed our stay with you as we explored Henfield and marvel at your confidence and industry in running a B&B all on your own.Excellent indeed.Peter and Caro. Thank you Peter-I enjoyed your company and conversation . and was intrigued by your re-discovery of Henfield? Did you find the illusive dovecot? I enjoy my job and interesting pleasant people are the bonus. The standard by which all b&bs ahould be judged. If you find fault with Malcolms hospitaly and accomodation you shouldnt walk out your own gate! Thank you my friends from down-under! I hope that your onward travels and explorations were enjoyable too. It is always good when different guests get into conversation over breakfast about respective travels and views on the world and I ca earwig from the kitchen! maybe see you again if you re-visit Ardingly. As B&Bs go this really is as good as it gets! Owner Malcolm seems to have done everything possible to make his guests feel at home and their stay memorable. Clean, comfortable room with every facility provided and all of fine quality. Superb breakfast and hospitality. Five stars from me! Thank you. It was good to meet you and Im pleased you enjoyed your stay. Thanks for taking time to review. When stays are work related it takes up valuable time to do yet more admin work. I\'m pleased you enjoyed your stay and your day on the Bluebell Line. You were jolly interested and interesting guests which adds to the satisfaction of my work. Lovely ownerComfortable bedRoomy with great bathroomFab fresh cooked breakfastLovely and cleanWhats not to like ! Wow! Thanks for all those kind words. Come back sometime if I am still soldiering on! Malcolm was a terrific host!We were in the area visiting relatives.Have us a great suggestion for a day trip with them. I enjoy helping to plan guests days out in the area once I have gleaned where there interests lie. I don\'t get much time to explore places these days so it\'s to get the feedback at breakfast next day and know where it\'s safe to recommend others to go. Excellent stay, superb accommodation, first rate breakfeast, host couldn't do enough to help. A really great B&B. Very welcoming and brilliant breakfast. Would highly recommend. Good location,snacks or meals available in the village. Brighton 10/15 minutes away. Very clean, comfortable and Mr Harrington very welcoming and he cookms a great breakfast. Excellent value. Comfortable, quite and close to where I needed to go.Enjoyed the full English breakfast.Only managed time to check out a local pub for an evening meal, also very good. I had the pleasure of staying at the Laurels for 5 days and got to sleep in three of the rooms (through my own busy schedule and absolutely no fault of the host! ).While having to add/modify my booking Malcolm was perfect - making the necessary adjustments for me with zero stress.Having had a tour of the b&b, allow me to recollect my observations on each room:The double bedroom is gorgeous, with a lovely sized bath (which was extremely enjoyable in the quiet, relaxing location that the Laurels enjoys!). The room is more than ample for a couple, although I had the pleasure of staying in it alone (and starfishing in bed...! ).The single room is lovely, smaller but still perfectly comfortable. The bathroom is on the oppostite side of the hallway, which is the only minor inconvienience - but Malcolm very thoughtfully provides a towelling robe for any trips you need to take back and forth!The double-single room was again lovely, the bathroom is en-suite and there was more than enough room for my sister and I to share this room (both of us being moderately sized people! ).Generally speaking:All of the rooms are beautifully presented, clean and have an ample stock of shortbread biscuits and hot chocolate!Coming from a chaotic home, this was an amazing opportunity for me to catch up on my sleep - the location is very quiet and peaceful. You're also within a stone's throw of the small village highstreet which provides several pubs and other amenities.The breakfast is absolutely amazing, Malcolm is an attentive and kind host who had memorised my preferences by the second day of my stay!The WiFi works perfectly and there is ample space to store bags and clothing in each room.Essentially this b&b feels like a home away from home, I couldn't recommend the Laurels B&B more if you're visiting the area!Thank you Malcolm! Superb place, great service and amazing breakfast! Easy to find/book comfortable and a excellent breakfast,would recommend and definitely stay again. Clean, efficient, very comfortable bed and fine cooked breakfast. I would return without hesitation. Very friendly pubs. I would definately recommend staying at The Laurels, it was very welcoming and friendly, Malcolm was very helpful, and just wanted to make you feel welcome.The town is only 5 minutes walk with lots of shops, and a couple of great pubs with very good menus.I will definately be staying again when i am in the area. Had a fantastic night's stay, lots of attention to detail and no scrimping on the extras. Excellent breakfasts with a good veggie option. We only stayed on night but attention to detail was second to none.The room was lovely and the breakfast outstanding. We loved it! Thank you very much for taking the time to give No1 The Laurels B&B such a great review. I am pleased that you enjoyed your stay. Welcoming host. Lovely breakfast. Well equipped room, very clean. Lovely quiet location, Would book again. Fabulous B&B, couldn't fault the place. Nothing was to much trouble and the breakfast was yummy. Especially the coffee. My daughter and myself are french tourists visiting South England. We spent a very pleasant and relaxing 2 days stay in this beautiful B&B, in a comfortable, pretty and tidy twin bedroom. Beautiful little garden. Our host was very kind, helpful and with good advice fror the visits. Delicious breakfast. We highly recommend this B&B. we enjoyed our stay we had a good breakfast the owner was lovely If we are in the area again we will definetly stay here. Thanks for taking time to enter a review. I am usually a late bird so late arrivals are not a problem if I\'m warned. I\'m glad you enjoyed your stay even if the night was a short one for you! Highly recommended . Malcolm runs a very good B and B everything is clean and tidy and well equiped and he is very helpful. Thanks for making the effort to give me such a rewarding review. Henfield holds a lot of childhood memories and family history, and staying with Malcom was a great start to revisiting old haunts. More personalized and welcoming than a hotel, with thoughtful touches, like bedtime sweets on the pillow and assorted toiletries, and a full English breakfast cooked to order, with freshly-brewed coffee or tea. We would definitely stay again. Thank you for noticing and appreciating . Glad you enjoyed your stay. Thanks for your kind comments. Pleased that you enjoyed your stay. Come again. Clean, commutable, and friendly. Just as we needed. Nice breakfast friendly place. Really welcoming, lovely and clean and great host. Will certainly book again. A very comfortable and pleasant stay. Lovely breakfast and Malcolm was the perfect host. Wonderful room. Wonderful breakfast. Wonderful host. Wonderful location. Altogether wonderful. Very hospitable host who waited up past midnight to greet me after my flight was unfortunately delayed.Excellent wifi and delicious breakfast too! What an excellent discovery! The house is tucked away but easy to find, and very clean and tidy. Malcolm is the perfect host, I was arriving late but his presented no problem at all, very friendly and welcoming. The breakfast too was amazing. Thank you. I was travelling on business and needed accommodation for one night. I typically, use hotels, so I was a bit wary with regard to using an unknown B&B. I needn't have worried the accommodation was excellent, complimented by s substantial breakfast and all at a reasonable cost.I have already confirmed a further stay of three days in November as I was so happy with all aspects of the stay. From a friendly welcome, a good night sleep to a great breakfast. Everything thing we needed to then enjoy a day out in Brighton. No. 1 The Laurels is in a perfect location to reach both the coastal towns and the inland countryside. Malcolm made my son and I extremely welcome and we greatly enjoyed the facilities and the delicious breakfasts. Thank you for making our first experience of Sussex such a good one! Clean and comfortable. Very affable host. A very comfortable place to be.put at ease when we arrived.Relaxed and joyful company fully booked as usual which speaks for itself.A lot of people go there time after time.Mouth wateringly good breakfast.Splendid place and host.What more could you ask for from a few days awayor to make working away from home less irksome.We are working on finding a reason or an excuse for our next visit there.Thank youMalcolm. Needed to be near Crawley and found this little gem. Easy to reach the coast. Single room nice and comfortable. Massive breakfast to set you up for the day. The best organised and well kept accommodation I have stayed in for a very long time.Lovely quiet area. Nothing os too much trouble for the owner. Excellent comfortable room and great breakfast.Will strongly recommend to others seeking a stay in this part of the U.K.
Had a lovely stay at no 1 the laurels , Henfield , the host was extremely welcoming, and friendly...our room was exceptionally clean, with everything you could have wanted, with a lovely en -suite !After a very comfortable sleep, had a lovely cooked breakfast, which was delicious, can highly recommend this b &b , a beautiful home, with a superb host ......many thanks for a lovely stay, will be back when visiting Sussex again ! High standard of service in a very well appointed home.Host very welcoming. Very clean place. Well appointed with good facilities and a lovely breakfast cooked to order. My single room wasnt en suite but i had solo access to the family bathroom directly opposite and a robe to use. Recommended. Thank you Joanne for taking the trouble to be so complimentary. I\'m glad the robe was useful it is meant to compensate for the room being not quite en-suite! Thanks Stephen glad you enjoyed the breakfasts. Wow! Thanks Giles for taking the time out to write such a great review and for noticing the little bits and pieces.,would be great to see you again. Excellent accommodation, clean and comfortable.Great selection of teas, coffee and biscuits. Breakfast was supberb.Malcolm did everything possible to make our stay a pleasant one. Have already booked again. Just had a wonderful weekend at The Laurels. Malcolm is a wonderful host and made us very welcome at his lovely B and B . Such a homely place, ideal for a stay in the Sussex countryside. The breakfasts are delicious and the room was perfect. We will be returning to this wonderful B and B and would recommend it to anyone wishing for a peaceful weekend. Great location, walking distance to Henfield village good facilities &terrific local pub food.Spacious accommodation every extra you need.Fabulous breakfast and excellent host in Malcolm all runs along smoothly highly recommended B&B ,we will be back for GoodwoodNext time ideal location. Visiting Son in Littlehampton - overnight stay.Very good, friendly welcome given.Very comfortable double room with large ensuite.Great breakfast cooked freshly to order.Good attention to detail throughout stay.The owner worked hard to ensure a great stay. Thanks for your comments. 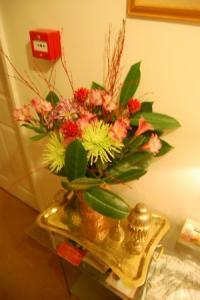 I\'m glad that you enjoyed your week-end visiting your friends in Henfield and staying at No1 The Laurels. The weather was mostly kind to you which made the open village gardens that much more appealing. It was good to chat and about Matlock etc. and I always enjoy it when guests get chatting with each other and often confirm that it is a small world! Excellent service and cooked breakfast. This is a B&B with a professional approach and gives a small hotel experience. Wow! Thank you so much for your kind review. I am very pleased that all met your expectations and hope to see you again. Very friendly host and terrific breakfast. All the facilities that you could want. Set in the gorgeous village of Henfield. I stayed at No1 The Laurels with my parents the night before my wedding and we couldn't have chosen a better place. The B&B is in a quiet cul-de-sac so we were able to have a peaceful sleep. 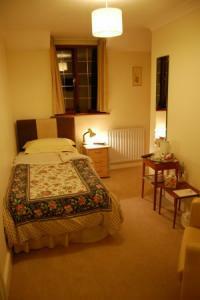 The rooms are very comfortable, spacious and well furnished and it felt homely. Malcolm was a very accommodating host, especially with my photographer and hair &makeup lady arriving during the following morning to get me ready. We very much enjoyed our stay and would certainly recommend it to anyone. Thanks very much Malcolm! Thank you Helen. It is always rather special to host a bride and see the wedding party set off for the ceremony. It was a pleasure to meet you and your lovely family right down to 2 week old nephew! The sun came out for a beautiful bride and made me smile. Good luck-always. Warm welcome from Malcolm.Cosy room. Delicious breakfast. Couldn't fault the welcome, facilities or the location.The rating wasn't working but I 'give it five'! Malcolm Harrington the proprietor of No. 1 The Laurels, Henfield, proved to be the perfect host. The room was clean, comfortable and well-equipped and the breakfast was excellent. If anyone was considering a visit to the attractive village of Henfield, I would unreservedly recommend a stay at No. 1, The Laurels. I would recommend this B+B. It is situated not far from the village centre (road works permitting). The rooms are nice. The Host is helpful and friendly and prepares a nice breakfast. When I was there, it was Easter and it was a nice touch to be given an easter egg and to be offered a hot cross bun. Thank you so much for taking the time to say such nice things. I do try my best to provide a comfortable stay. Very few people took me up on the Hot Cross Bun so I ate rather too many!!! Host very welcoming and obliging. Glad I could book a second night and enjoy a lovely breakfast on Sunday. Thank you Catherine. I enjoyed your company and was pleased to offer you some R&R after your taxing cross country running--I was exhausted just hearing about it. Very clean, owner very attentive.Excellent breakfast. This location is clean, comfortable, welcoming and breakfast is fantastic. If you need a base in the south you won't find better! Thank you Karen. That is trulyvery rewarding feedback. I think I get it right most of the time but we all have our off days and get a little careless of detail. It is very helpful to be advised when one gets it right and also if things are not quite what they ought to be--keeps one on ones toes!! Although I turned up earlier than expected I was shown my room and given my key.I felt at my ease straight away.Comfortable bed, breakfast was cooked to order and very nice.I have booked to stay again. Avril,-that is very kind of you. It was fortunate that the room was all ready and I was running on time--sometimes the day evaporates and I am left chasing my tail and might be a bit flustered if guests catch me out! I do try to provide a relatively calm, comfortable home from home type stay and it is great to be rewarded by such comments and to know that all is well. Pleased that you want to come again. We stayed here over Christmas - visiting family and needed somewhere to stay. We have used a few hotels/B&B in Henfield and this is the best by far. Everything is top notch and we will stay here again next time we are in Henfoeld. Malcolm was the perfect host. A very friendly warm welcome. A very stylish and comfortable room, a bed I didn't really want to get out of, it was so comfortable and a delicious breakfast all went together to make my one night stay absolutely superb. Thank you Malcolm. Ideal home from home b&b - Martyn the owner is a caring sensitive man who obviously takes great pride in providing a good service for his clients.Breakfast was outstanding with good quality meats. Excellent! Quiet location.Interior tastes very nice. One of the best B&B. We have stayed here several times and have found excellent service and a warm welcome. Quiet surroundings, lovely host who has thought of everything - all little details accounted for. Fantastic breakfast, safe parking. Perfect location for exploring the area. Very friendly and helpful host. Malcolm takes good care of his guests.Good value and I enjoyed my stay once again.The single room was the only room available and I would think twice about booking it agin but it served its purpose. What a lovely B &B. Although it was the owners home it felt like I got 5 star treatment . My room was lovely quaint in its design but tastefully done. The bed was comfortable and the bathroom was well appointed. Super clean and what a joy to have loads of beverages in my room, lots of biscuits and a kit Kat lol. Little touches were wonderful from the sweet on my pillow to the fresh flowers in my room. Breakfast was lovely and beautifully presented in the dining room. Plenty to eat and the owners went out of his way to be friendly and accommodating. I really enjoyed my stay and would recommend this little gem to anyone. Very caring and welcoming. Quality experience. A great host,very clean throughout and a wonderfully comfortable bed. Very pleasant place to stay for a couple of days. We had a really lovely stay at No1 The Laurels. The rooms are large and comfortable, the breakfasts delicious and the hospitality was excellent. We were doing Warrior Run and this was a great base near the event. A warm welcome from Malcolm and a very comfortable and peaceful night. Highly recommend Sunday dinner at the White Hart. We will return whenever we are next in the area. Very pleasant stay at 1 The Laurels.The house was clean and spacious with a delicious breakfast! What a great find and not only do you get the usual toiletries, free wi-fi &tea and coffee but you get hot chocolate, chocolates on your bed, biscuits, Kit Kats, sewing kit, shower cap, towelling robe. Wow and the owner is so nice and makes a great breakfast. Would highly recommend staying here. I dont normally stay in b &b's but this place was worth it. The village is lovely too with good food in the local pub. Stayed at the Laurels after travelling from Devon to attend our nephews wedding. The room was clean and spacious. We were able to leave a note if we wanted breakfast earlier than ten. Plenty of choices for breakfast and we had a lovely fried breakfast. Will stay here again If we come back to this area. No 1 The Laurels is warm, welcoming, comfortable, spotlessly clean and has all the comforts of home.Breakfast was EXCELLENT and the host most helpful.I will definately stay there again and would recommennd highly. 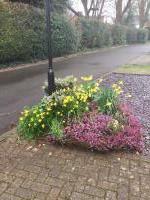 Warm and comfortable B&B in quiet location but within easy walk of main street of Henfield. Malcolm was a welcoming host, nothing seemed too much trouble, and breakfast was impressive. Easy drive into Brighton and excellent meal at The White Hart. Will definitely go back again if we are in the area. On our arrival the proprietor Malcolm Harrington opened the door with a warm welcoming smile. The rest of our one-night stay was the same:warm, welcoming and relaxed. We were served a satisfying, freshly cooked breakfast, the bed was comfortable, and the bathroom immaculate with an excellent shower. We will definitely stay there again. You are always guaranteed a warm welcome to this friendly, cosy and clean B&B. There is plenty of parking, great sized rooms and the area is wonderfully quiet. Local Pub and a selection of takeaway restaurants are nearby which make this a good based when exploring or working in the area. A great B&B in Henfield in SussexHighly recommended, B&B was very warm, clean and cosy in a quiet area.Food is great and Malcolm is very welcoming.Did not want to go back home and wish I couldhave stayed longer. We stayed here to attend a funeral at the local church and were both very impressed with the welcome and quality of No1 The Laurels.The room, the breakfasts and Malcolm were lovely and we would definitely recommend a visit. Only one word is needed to describe our stayFANTASTIC!! Short break visiting family. Very pleasant stay, relaxed atmosphere. Malcolm is very friendly and makes you feel welcome. This is our 2nd time of staying here and we would highly recommend to anyone. The breakfasts are unbeatable with everything available. Scrumptous. I would like to leave a down side, but there isn't any. Will be booking here again in the future. As always, excellent - warm welcome, A1 room and a superb breakfast. Our twin room was very comfortable and clean. Lovely strong shower and the quality of the beds had us inspecting the mattresses for the brand name. Well appointed and an easy stroll into the village for somewhere to eat. We stayed here during our South Downs Way walk and found the location quiet at night with no traffic noise and the black out blind kept the room dark. An excellent breakfast and friendly host. Good value for money. Very nice stay with a very friendly and welcoming host, Malcolm.Possibly the best breakfast that I have had anywhere and I have travelled a fair bit.Would definitely stay again if looking for accommodation in the area. I booked to stay at No.1 The Laurels as it had good reviews, 4* and was local to the area a colleague and myself were working for a couple of days.We were welcomed by Malcolm the owner who has run the Laurels for 22 years.Easy check in to nice, spacious rooms with en suites.Good showers, free wifi and a nice breakfast.No.1 The Laurels is in a very quiet location and I had a very peaceful nights sleep!A few minutes walk found a very nice recommended local pub where the food, service and drinks were excellent.In summary a nice B &B, great location, great value and will stay again. I'd recommend this lovely B&B - I have stayed there twice to date and on both occasions I've had an excellent experience. It is extremely clean, very homely, the owner is extremely helpful and the breakfasts are great! Stayed two nights at The Laurels. Excellent accommodation in every way. Malcolm made us so welcome. Would certainly recommend to anyone thinking of staying in this lovely part of Sussex. A very enjoyable stay.Room very comfortable and spotlessly clean. Quiet locationExcellent breakfast provided by the amiable "mine host"
We had an excellent one night stay here after cycling the South Downs Way.Our bikes were welcomed, we had excellent food at the nearby pub, the owner was friendly and cooked a good bespoke breakfast.Would definitely stay here again. All you could wish for in a B&B - comfortable, clean room &en suite, tasty breakfast and a friendly, welcoming owner. Thanks Malcolm. third time staying, once again a great place to come to, friendly, clean, superb breakfast,great value,would happily recommend. Another lovely stay at 1 the Laurels. Well equipped rooms, excellent breakfasts,friendly host. I spent 3 nights No.1 and would strongly recommend it.My room was spacious, comfortable and spotlessly clean.An excellent breakfast, and Malcolm is a warm and relaxed host. Lovely warm welcome from Malcolm.Very comfortable rooms with nice touches ie fresh flowers chocolate bar and nice books to browse through.I stay here regularly and really enjoy it.Would highly recommend . Thank you Corinne--always great when people come back for more! Thank you for noticing the flowers etc. My mother and I shared the very comfortable twin-bedded room.No 1 The Laurels was easy to find, Malcolm very friendly and helpful.The accommodation is fresh and clean and has excellent amenities. Cooked breakfast was a treat!Highly recommended. Very pleasant stay.The breakfast each morning was delicious and the host was most welcoming.Highly recommended.Thank you! Malcolm and his establishment were welcoming, comfortable and just what the doctor ordered. An adorable B&B, cozy and friendly, with a very English feel and delicious food! We loved our stay! Located a short walk from the High Street this clean and comfortable B&B is well worth a visit. We stayed on the night of 13th November 2013. Malcom &Paul made us very welcome, especially as we had an horendous journey from South Wales, being held up in traffic on both the M25 &M3. The accommdodation is extremely comfortable &the food excellent. Couldn't have asked for better.We would use again when in the area &would not hessitate to recommend to others. Recently stayed at the Laurels (5/10/13) and the service from Malcolm was excellent. My wife and I stayed on 23rd August because we were attending a family reunion. Our experience could not have been better. We were greeted at the door and shown to our room which was lovely, with tea, coffee, an abundance of biscuits and even freshly cut flowers on display. The bed was extremely comfortable and the breakfast was superb. What more could one want?! We will definitely stay again, even without a reunion! Lovely spacious room. Great breakfast. No complaints at all. My wife and I stayed for one night. a very clean and hospitableB &B. Breakfast was superb and set us up for the day. Will definitely stay again when visiting the area. Unfortunately we only stayed one night. We received a great welcome upon our arrival by Malcolm. We were shown to our room a large twin beatifully furnished and very comfortable and the en suite was spacious, everywhere was emmaculately clean and tidy.The house is situated in a quiet cul-de-sac with no passing traffic and only a few minutes walk from Henfield High Street.Breakfast was freshly made to order and served in a well appointed dining room.All in all a very pleasing experience. Wow! Thanks for such kind words--I have been a bit embarrassed over the past 10 days or so by coughing and wheezing my way through breakfasts because of bad asthma so I am very pleased that that did not put you off!. Would be great to see you here again .Malcolm. This gem of a b&b excels in every way. Spotlessly clean and very comfortable. Breakfast far exceeds those produced by the majority of 4* hotels and also many 5*. There is a parking bay for all guests at the front of the b&b which is a great bonus. For my trips to Brighton I now stay here every time. I stayed at No1 The Laurels for one night over the Easter weekend. The property is very clean and Malcolm is especially welcoming. The room was lovely and the little extras of biscuits and chocolate treats were an extra delight. Breakfast was also excellent. Well worth a visit if you are staying in Henfield over night. Stayed at No 1 The Laurels to have easy access to the South Downs by car.Was surprised that Henfield had so many excellent pubs within short walk as well.Room, ensuite, host and breakfast were brilliant.Personally, I found the bed to be slightly too firm but would not put me off staying again. Excellent b&b in a quiet location . A very genial &helpful host and everything one could ask for in terms of facilities. Thoroughly recommended. Well recommended quiet house with everything about it outstripping it's price bracket! will definitely stay again when in henfield! Very impressed with the standard of the room and care taken to make me feel welcome. The house was spotless, cleanly decorated and the en suite was also in very good order. Breakfast was very good with a wide variety of cereals, fruits and choice of cooked breakfast available. I have booked in again and I would highly recommend the Laurels to anyone;the location, in the village of Henfield, was an added bonus. Hight a night break from the kids, No. 1 The Laurels was perfect and in a great location for a very relaxing break. Welcoming host,quiet and comfortable room,excellent breakfast.Would have no hesitation staying again if in the area. Good value for money.Staff is very friendly and the quality of the sausages and the bacon at breakfast were exceptionally good. Malcolm was very accommodating and very welcoming. Lovely and clean and a very nice breakfast. Highly recommended! Having stayed at the Laurels before it was only natural to re-book a stay. Mr Harrington is the perfect host. His knowledge of the local area is next to none. The rooms are clean and comfortable and his breakfasts will set you up for the day. I shall certainly stay again the next time I am in the area. Thank you for your kind comments-it was interesting to share your family tree hunting progress. My daughter-in-law,Sarah,booked the Laurels for me so that I could be near them to look after my grandson as a new baby was expected(still to arrive).I very much enjoyed my stay and time to relax as I found the Laurels comfy and calming.The breakfasts were varied and beautifully cooked.The proprietor was friendly and easy to talk to,making you feel at home. It was a pleasureto play "the waiting game" with you and chat about life's challenges! After performing at a local festival it was good to retire to such a peaceful and homely atmosphere. The following morning's breakfast was a delight which set us up for the journey home. The place was very nice, bed was good, rooms were good. Malcolm was very friendly and makes a good english breakfast! Have stayed here a few times over the years whilst visiting family, always a warm welcome and a superb, clean and comfortable room, followed by an excellent hearty breakfast. Cannot fault, highly recommended. Thanks Andy- it is always rewading when customers come back for more and become part of the No1 The Laurels extended family! I was delighted to find the room and en-suite spotlessly clean and everything that I could of wished for and a little more.Breakfast was great, plenty of choice and beautifully cooked food.Would recommend. Thank you-I know,from our conversation, that you ar an experienced caterer and therefore know the business and what standards to look for so I value your comments an that you took time out to make them. thank you very much -I will be pleased to welcomeyou back. Excellent standard of accomodation. Would highly recommend and will use again when in the area.Thank you Malcolm! Nice location, good room, great breakfast, friendly and welcoming host excellent value too. Malcom the proprietor, happy, welcoming and accommodating as ever. Room spotless, breakfast excellant the perfect overnight stay. Couldn't find it down the dark country roads.Didn't realise it was right in Henfield off the main road.We had a good breakfast, accommodation like home,clean, modern and comfy.Host very genial but not intrusive.Guests were brilliant company - Danny, Paula &Chris.The breakfast conversation was the highlight of our two day stay in the area.Thank you Malcolm. Rating 4 star but site wouldn't allow me to put it in.Definitely not "horrible"
malcum made us feel at home.he looked after us,leaving 3 kind of biscuits to have with our drink in the room.his breakfast was great and served hot. Our room was very clean as was the linen.The best B+B,highly recomended by us.will go back when we are in the area. warm welcome, comnfortable and clean room, nice to have a proper shower rather than one that trickles.Breakfast was excellent served hot;quality bacon, fresh mushrooms and generous portions. I would certainly recommend this place to anyone wishing to visit Brighton or surrounding areas. One of the best Bed &Breakfast establishments we have ever stayed at. Comfortable, well-appointed bedroom with superb en-suite facilities. Breakfast was up to the same standard and beautifully presented.